Capacity dumping by Gulf Cooperation Council airlines, often based in Dubai, stands as only one of the problems faced by Pakistan International Airlines (PIA) as the flag carrier struggles to recover domestic and international business lines, push ahead with fleet expansion, and stem ongoing losses. Projections call for current PIA traffic, at 20 million passengers a year, to grow to 50 million within 20 years, requiring fleet size to triple. “The starting point is induction of aircraft through government support and stoppage of this capacity dumping, which is not visible in any foreseeable future,” he said. PIA suspended its Pakistan-New York route late last year after running into losses mainly attributable to U.S. Transportation Security Administration (TSA) sanctions, which barred direct flights from Pakistan as well as a number of other countries. The flights operated via Manchester, and costs proved exorbitantly high. Return flights were direct. PIA expected such “rationalization” of routes along with a few newly introduced sectors such as the resumption of service to Bangkok and the introduction of religious tourism, to Najaf, to bring some stability. However, a lack of suitable aircraft and a high dependency on seasonality has not seen the new routes prosper as expected. Despite the challenges, the airline managed to operate in the past 12 months without any wet leases, including during the Hajj pilgrimage season, when it curtailed flights on certain primary international and domestic routes to make aircraft available. That, in turn, resulted in a a mismatch of deployed aircraft against average capacity, meaning that, at times, PIA operated a Boeing 777-300 on the one-and-a-half-hour Karachi-Lahore route, where demand wouldn’t ordinarily justify such widebody equipment. 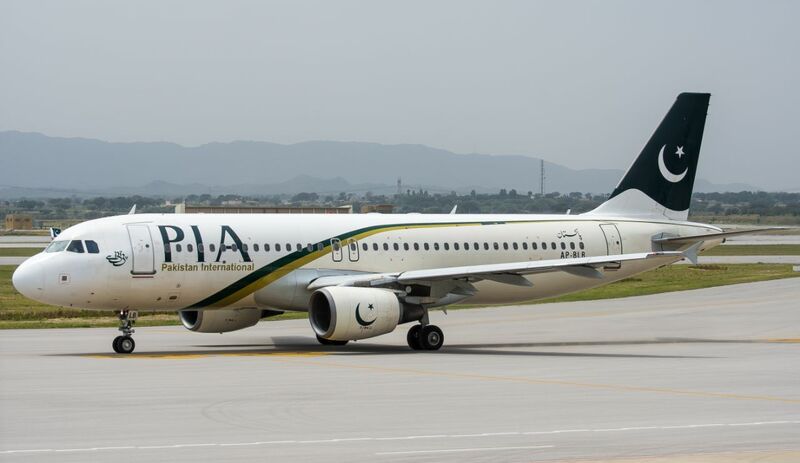 PIA recently relaunched the Sialkot-Sharjah route, while a number of other resumptions such as Lahore-Muscat have gotten under way mainly to benefit from the gap created by the October suspension of the financially troubled private Pakistani airline Shaheen Air. Although Saudi investors hope to resurrect the airline, details of the agreement, as well as relaunch timeline, remain unknown. “A number of their aircraft have been under the process of de-registration since lessors lost patience about two to three months ago after continuous recent defaults,” said the PIA official. PIA operates 11 Airbus A320s, three Boeing 777-200ERs, one 777-300ER, and five ATR 72-600s. It planned to induct up to four narrowbodies, preferably A320s, but the airline has so far failed to procure them due to scant availability resulting from A320neo customers, due to engine problems, extending leases of their older equipment. Although it issued a number of tenders recently, PIA couldn’t close deals on the seldom-available aircraft due to its negative economics and changes in management. Pakistan’s new administration reportedly appointed air marshal Arshad Malik CEO in October and scrapped earlier plans to privatize PIA. “The current government, which took office in August, has now stated that it does not have plans to privatize and will at this point in time try to control the losses,” the offical said. PIA had hoped to use the opening of the greenfield Islamabad International Airport in May as a springboard to expansion, but the problems the airline has encountered with procuring airplanes derailed the plans.